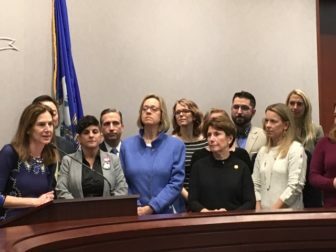 Strengthened by the mid-term elections, abortion-rights activists in Connecticut marked the 46th anniversary of Roe v. Wade on Tuesday by outlining legislation bolstering the state’s already-robust legal protections and policies covering the availability and cost of contraception, abortions and other types of reproductive health care. 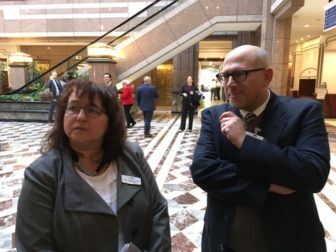 A legislative bloc dominated by dozens of new and returning Democratic women in the General Assembly said the planned legislation will include a ban on insurance co-pays for abortion and a truth-in-advertising measure regulating the two dozen non-profit crisis pregnancy centers in the state that counsel women against abortion. Lisa Maloney and Peter Wolfgang.